From left to right Troy Espera. From left, Jeremiah Ysip, Troy Espera, Mitos Briones, Mike Carreon, Pia Lopezbanos-Carreon, Eric Pugeda, Eugene Libadia and Joe Perry. 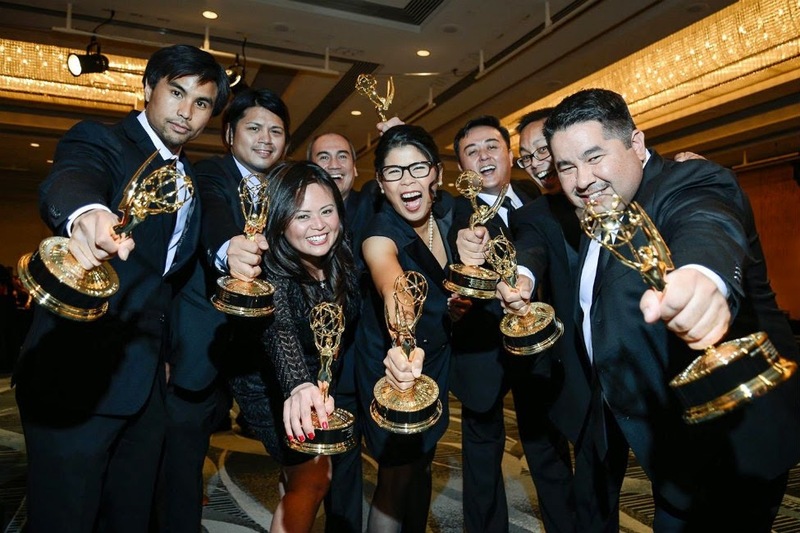 The Filipino Channel emerged victorious at the recently concluded 43rd Annual Northern California Emmy Awards. TFC's public service announcement for the ABS-CBN Foundation International's Bantay Bata program, Fighting for Survival, took home an Emmy in the Community/Public Service Single Spot or Campaign category. The long-running Adobo Nation, meanwhile, won its third Emmy -- this time for the Historical/Cultural Feature Segment category. “Because this is the 20th anniversary our company, The Filipino Channel, this is really such a wonderful gift,” TFC Head of Creative Communications Pia Lopezbanos-Carrion said in an interview with reporters. The Emmy award is presented for outstanding achievement in television by The National Academy of Television Arts & Sciences (NATAS). San Francisco/Northern California is one of the nineteen chapters awarding regional Emmy statuettes.